-Denim Lined with blue Indigo lining inside your carry all bag. Inner Pocket divider and long lasting nickel or brass zipper. Vegan Leather Pull Tab side pull grip. -Vibrant printed canvas: textured canvas shell withstands everyday use while looking great. Take this bag along to the knitting group, in the car for those socks and shawls, with an easy wristlet you can grab it and strap it to the baby stroller and off you go to the park ! Size of THESE bags are 10" wide bottom 3.5" or larger bag at 12" wide and 4" base. They can stand up on the flat wide bottom. Spot Clean or hand wash cold water. Hang or lay flat to dry. Denim lining may run for the first few washes. 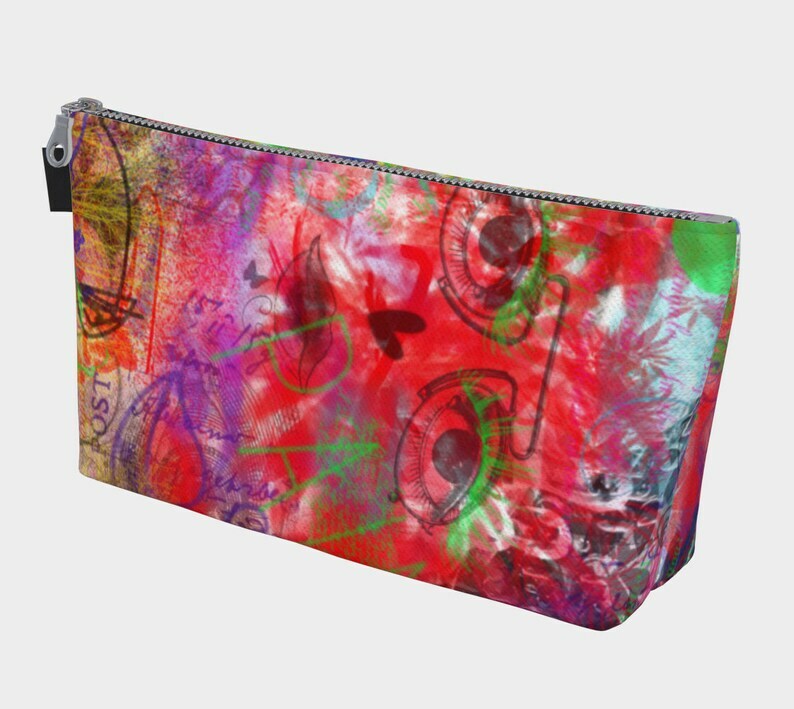 This is a custom made printed canvas bag with my original art, created when you order it. Images are as accurate as possible but monitors vary. The items are Canadian made with attention to detail and environmentally friendly products. Art meets Fashion through creativity and passion.